ROME (Sputnik) – Moscow believes that there may be further provocations aimed at disrupting the possibility of further Russian-US dialogue on Venezuela, Russian Deputy Foreign Minister Sergei Ryabkov said on Tuesday. "It is important to prevent a situation when destructive forces – there are many such forces both inside and outside Venezuela – will take advantage of the current moment and carry out provocations and steps that will disrupt the possibility of a [US-Russian] dialogue", Ryabkov said at a press conference after a meeting with US Special Representative for Venezuela Elliott Abrams. Earlier, Russia's Deputy Foreign Minister said that Russia does not recognise Venezuela's self-proclaimed "interim president" Juan Guaido and calls on all Venezuelan parties to settle their differences through a national dialogue. The talks took place at the Westin Excelsior hotel in Rome. 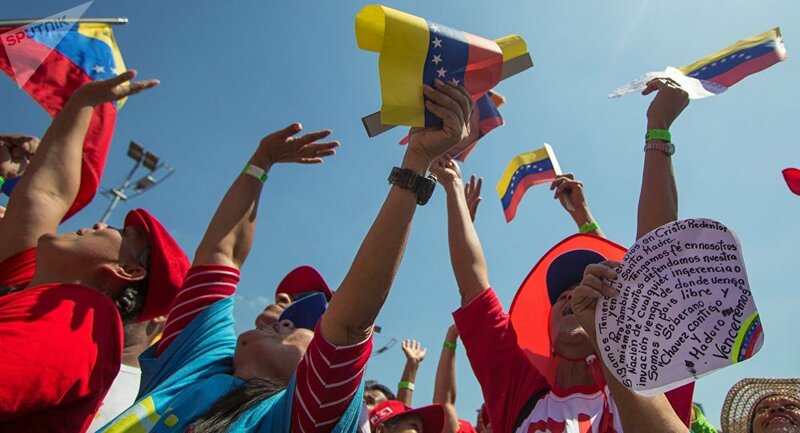 The crisis in Venezuela escalated in January when Juan Guaido was elected president of the opposition-controlled National Assembly, which all other government branches have been refusing to recognise since 2016. Guaido then declared himself the country's "interim president", gaining support from the United States and 54 other countries. Russia, China, Cuba and a number of other countries have reaffirmed their support for Nicolas Maduro as Venezuela's only legitimate president and called for non-interference in Venezuela's internal affairs. Maduro, for his part, has accused Guaido of conspiring with the United States to overthrow the country's legitimate government including by organising the delivery of so-called humanitarian as part of a plan to justify US military intervention.